Nature Mosaics is a Tampa based art studio that specializes in unique floral wall art for the kitchen, as well as, any other room in your home. 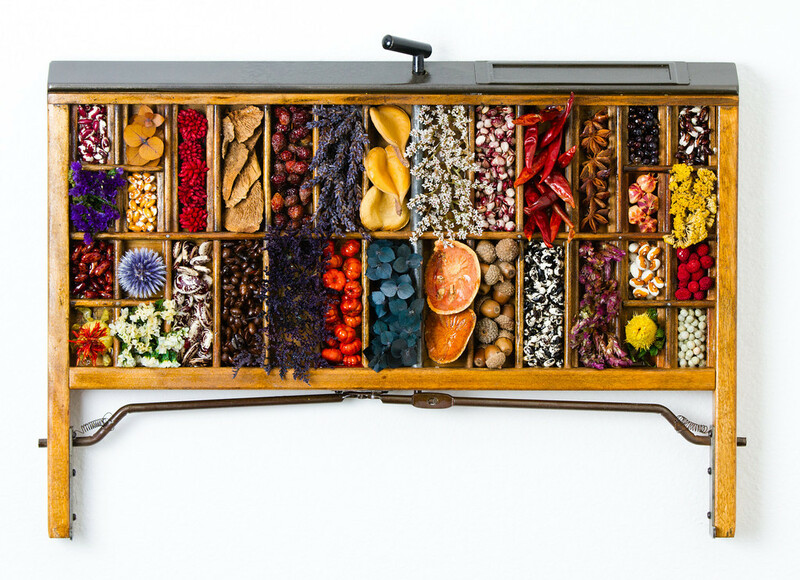 These dried flower art trays combine a bit of history in with the art as well. First, we begin with antique printers trays which have been delicately restored. We are sure to keep the authentic feeling to the antique printers trays because that is what makes them truly special. The age of our antique printers trays range from the late 1890's all the way to post 1940's. All authentic markings, details and drawer pulls are preserved. 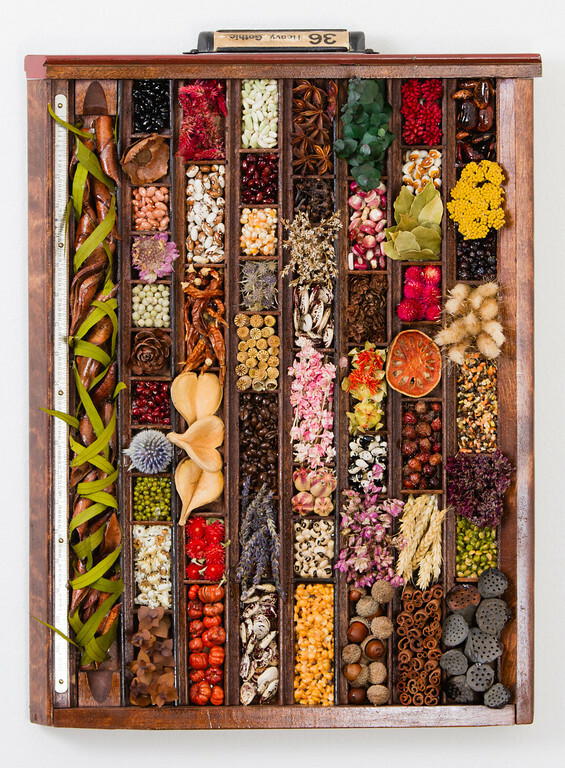 Next, we fill the trays with real, all natural, dried herbs, spices, flowers, seeds, rices and grains to transform it into a beautiful piece of floral wall art. Nature Mosaics are carefully hand made and we guarantee that no two floral wall art trays are exactly the same. We keep in mind the importance of interior design, home decor and kitchen wall decor. Our Nature Mosaics are the perfect wall decor for kitchens, bathrooms, family and living rooms and well as dining rooms. We can custom make a flower wall art tray to fit your home decoration needs. All of our antique printers trays range in color, size and shape. They can also be sanded, painted or stained to your liking. Our Nature Mosaics floral wall art trays are most compatible with traditional, transitional, contemporary and country home decor. If you would like to inquire about a custom made dried flower art tray, please do not hesitate to contact us.